The view across the vineyards overlooking Beamsville and out to Lake Ontario was a challenge both because of complexity and also because of size. I used the light effects to bring some drama to the piece without having it being about the illumination. 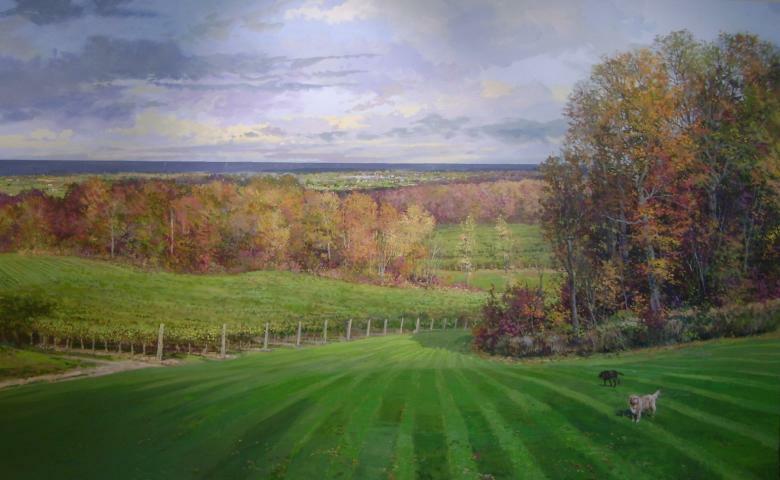 The painting approximates the view from the living room of the house.